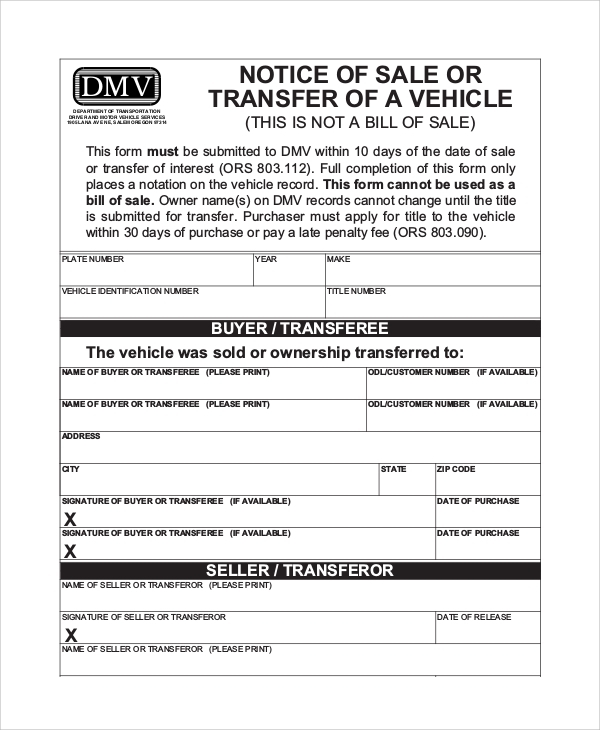 The sample bill of sale of DMV is a bill of sale that is used by the department of motor vehicles. Now, when you purchase a vehicle from a typical dealer or showroom, you get one kind of bill of sale. But when this is issued from the DMV, then the bill issued will be in their format, and this format will again depend on the type of vehicle, the body buying it, and the purpose, etc. Here are the standard formats and Sample Bill of Sales used by the DMV. 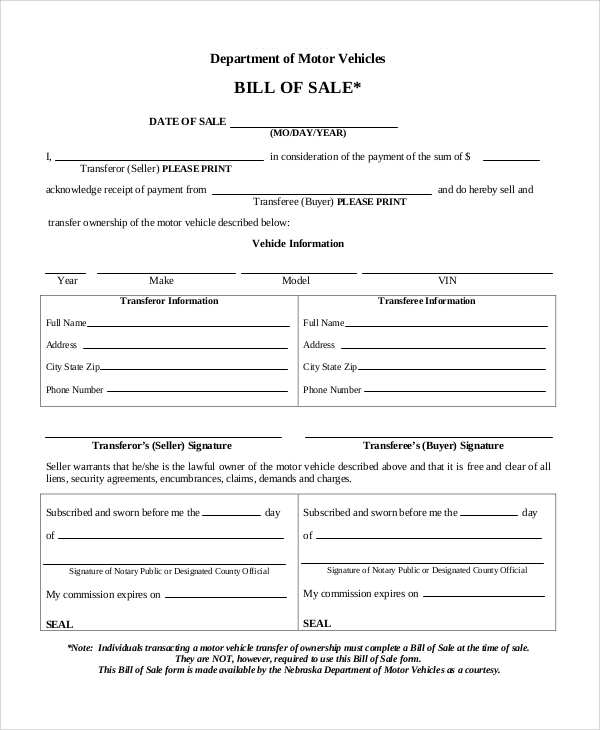 This is the common form format that the DMV uses when it’s issuing a bill of sale to any customer. You may get the exact idea of the looks and style by looking at this sample. 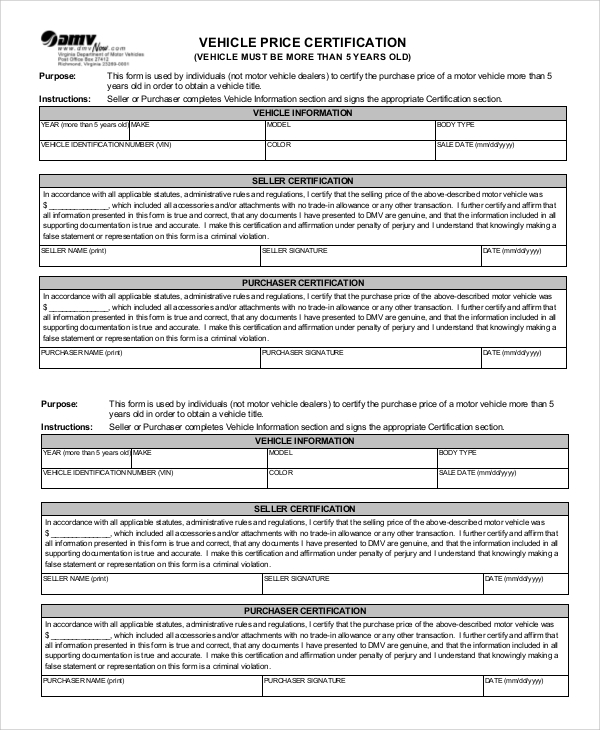 This sample form is another format that the DMV uses to issue the sale proof or bill to the buyer or owner of the vehicle with all the proper and accurate details of the actual sale etc. 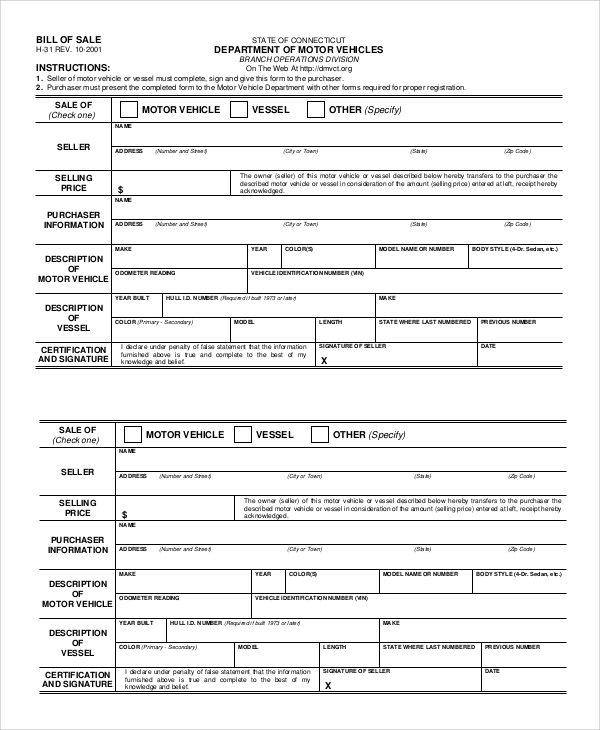 The DMV vehicle bill of sale format contains important information about the vehicle, the chassis no, the engine no, the model, the registration details, the seller and new owner, the date of sale and all such important information. The DMV report of sale is another format, where a detailed report complaint with the DMV is made about the sale of the vehicle, and the report can be referred to whenever any confusion arises about the sale. 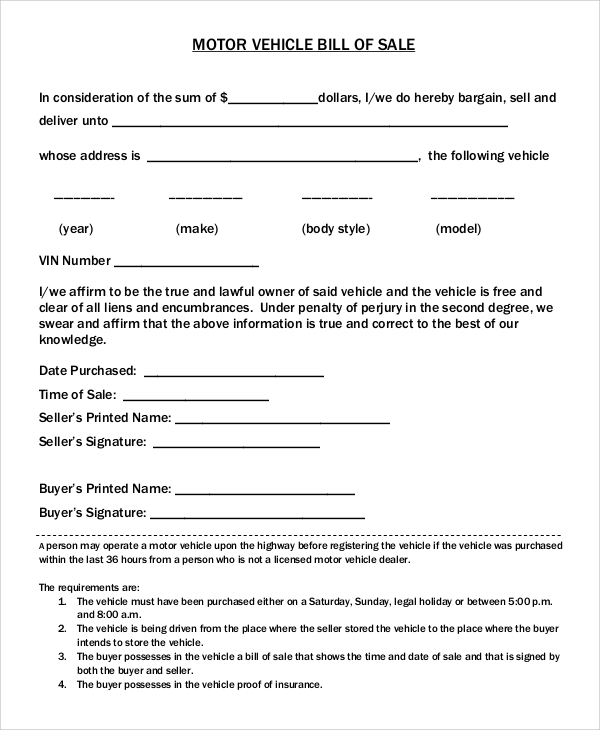 If the DMV is planning to place a notice for selling any vehicle, then this format can be used to give the notice. The notice speaks of the vehicle that is being put on sale by the DMV. What Is The DMV Bill Of Sale? 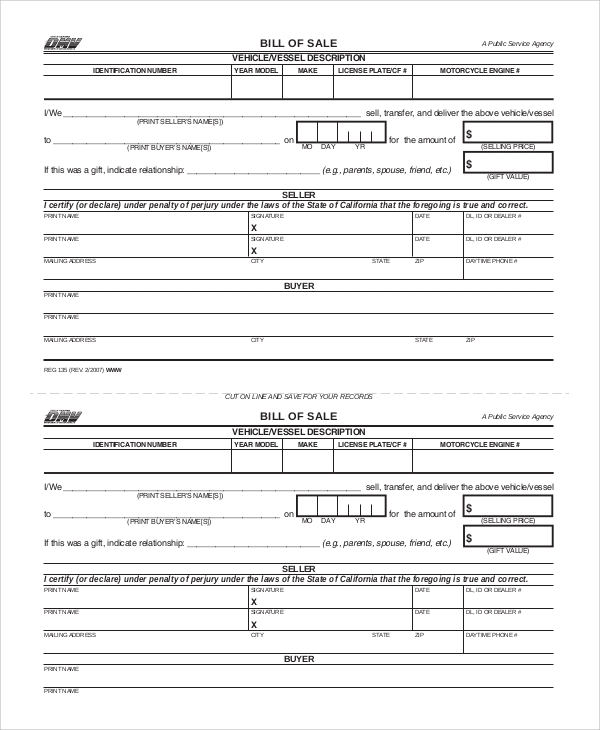 The DMV Bill of Sale Samples format is the form format that is used for making a bill of sale when you want a bill of sale to be issued by the DMV itself after you have purchased a vehicle. The purchase and the details of the sale will be mentioned in this DMV issued bill of sale, and this document has high importance in providing details about the sale, and essential details of the deal. Hence, it must be retained with care till you use the vehicle and carry it to the streets. 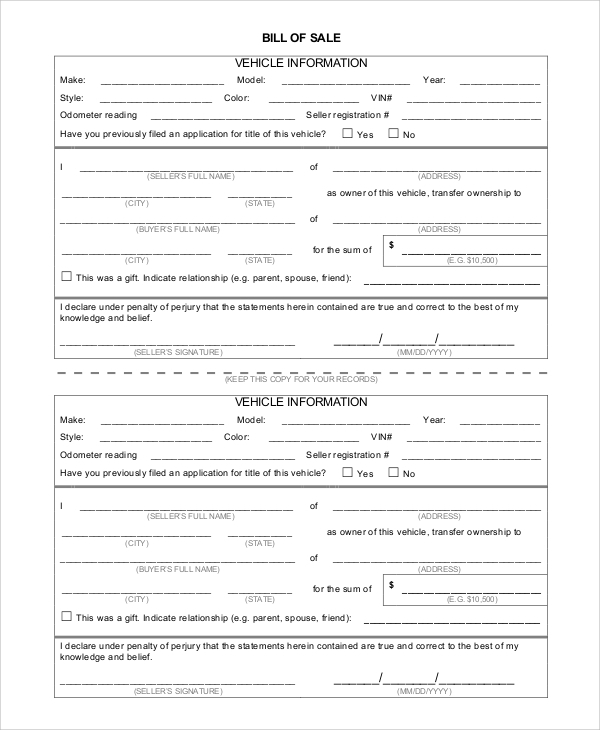 Also, the sample formats of the various forms of DMV issued and DMV used billing styles are here for reference. The document proves the exact date of sale. The selling and buying bodies are mentioned explicitly with full details. The vehicle details including the car number ,the engine type and chassis number, all registration details, etc. are found in the bill. This bill is of high value when you are going to resell the car. You can get many bills of sale types, and these will, in fact, help you make your style of a bill of sale format for selling vehicles. 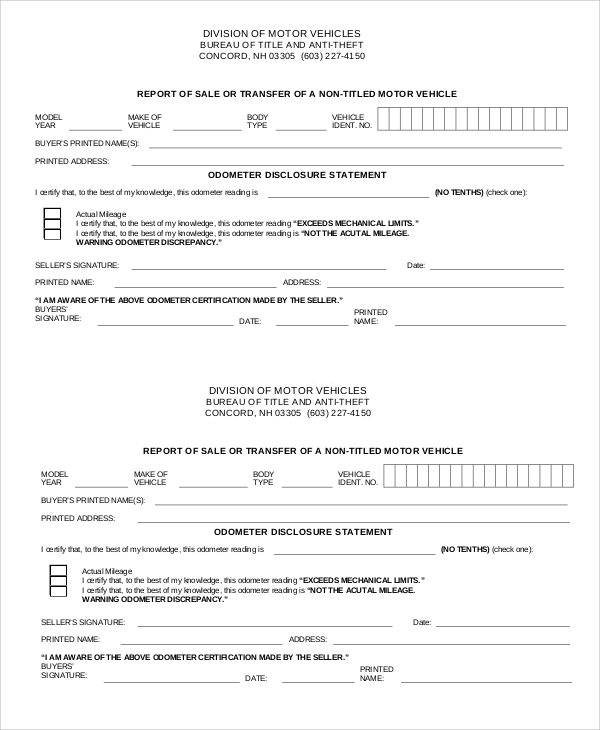 The Vehicle Bill of Sale Templates are available free of cost, and you may download them anytime from the template banks.